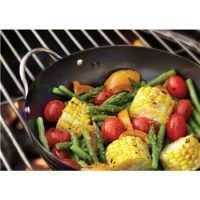 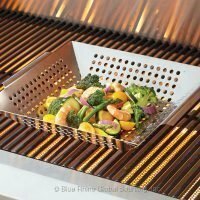 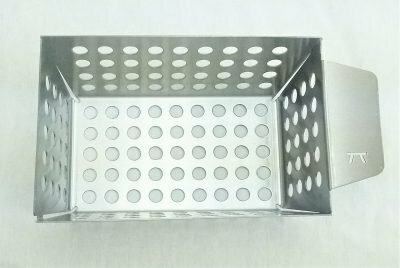 The Small stainless steel grill side basket is the ideal size for grilling a topping for your meal right next to your main course. 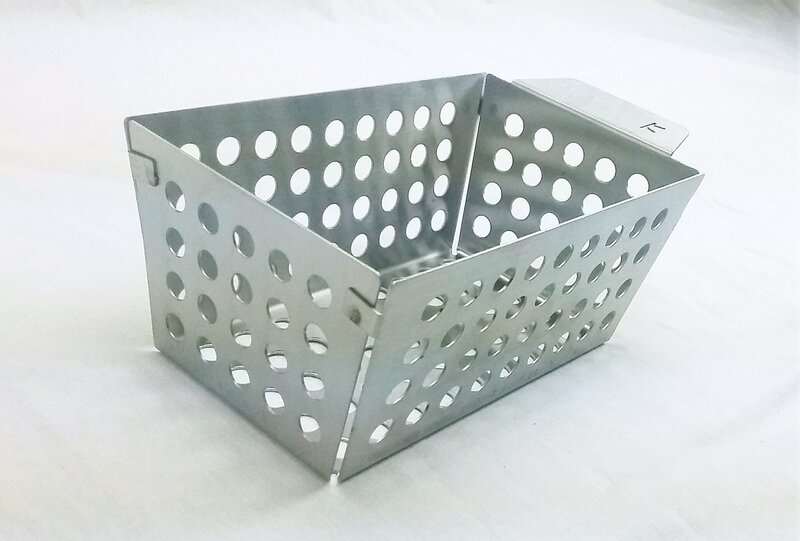 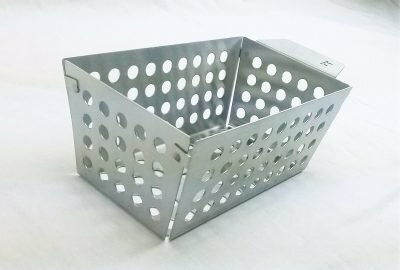 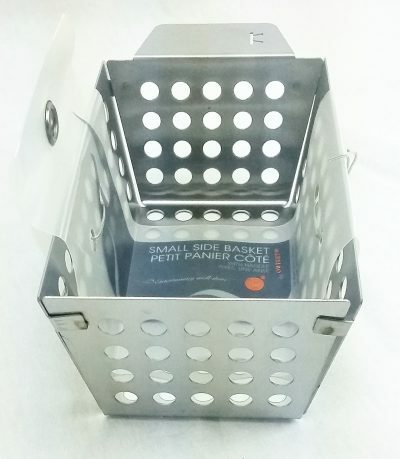 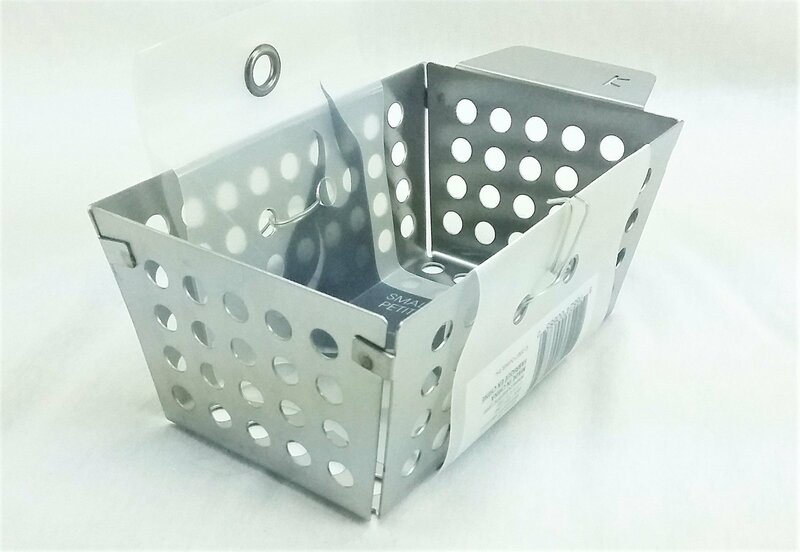 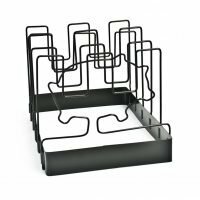 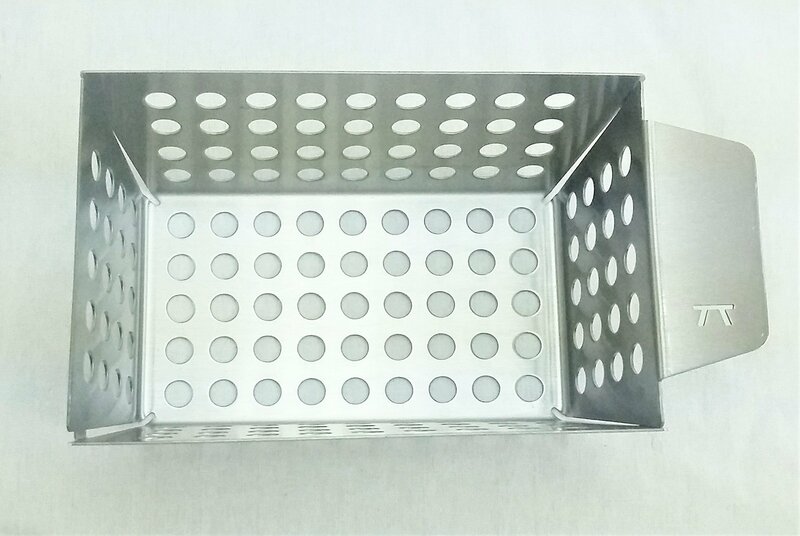 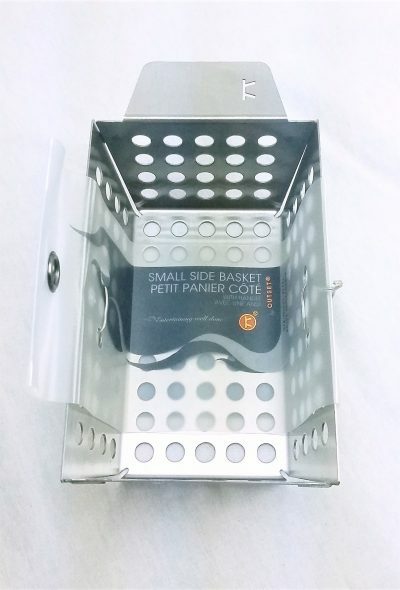 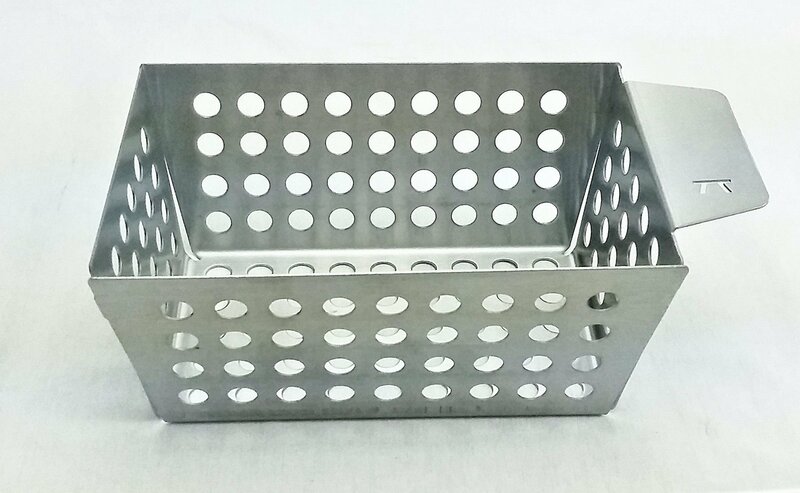 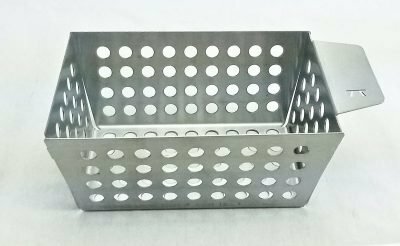 This grill basket has a small 6×3.25 footprint and 3 inch deep sides. 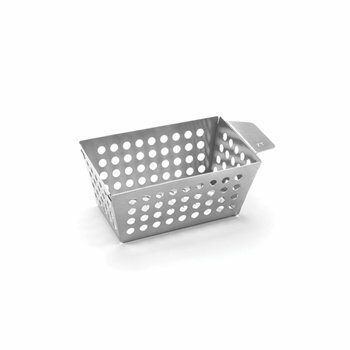 This basket is designed with vertical sides to maximize your grilling while minimizing the space required to do so. 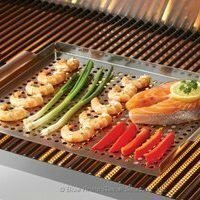 Set directly over heat for grilling, then simply push it to the side to keep warm while freeing up plenty of space for the main course!